Finally we have produced a Celtic View interview from 1974 which was done shortly after Bobby had moved to Middlesbrough and was returning as guest of honour for the forthcoming Celtic supporters’ association rally in the Kelvin Hall. 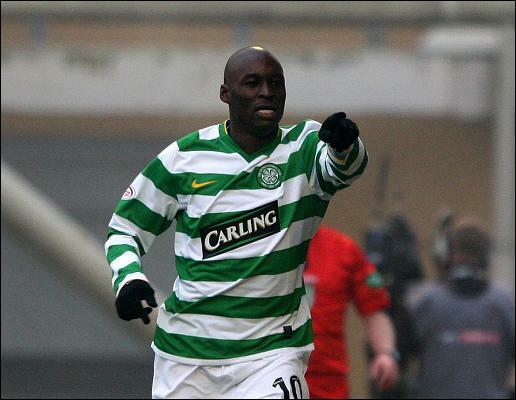 In it he recalls his Celtic days and looks forward to a new start down south. Kathleen is shown pictured with Bobby from that time. The 1970/71 season was not a good season for Bobby Murdoch. He suffered a bad injury against Dunfermline in January and generally struggled with his fitness thereafter. However, after a full pre season training he was ready for the approaching new season and the first match was to be a League Cup game against Rangers. Jock Stein was on record as saying it was like having ‘a new signing’. As always the press were in a state of excitement about the prospect of the coming season and they gleefully informed anyone who would listen that this was to be Rangers’ year at long last but big Jock was always one step ahead. 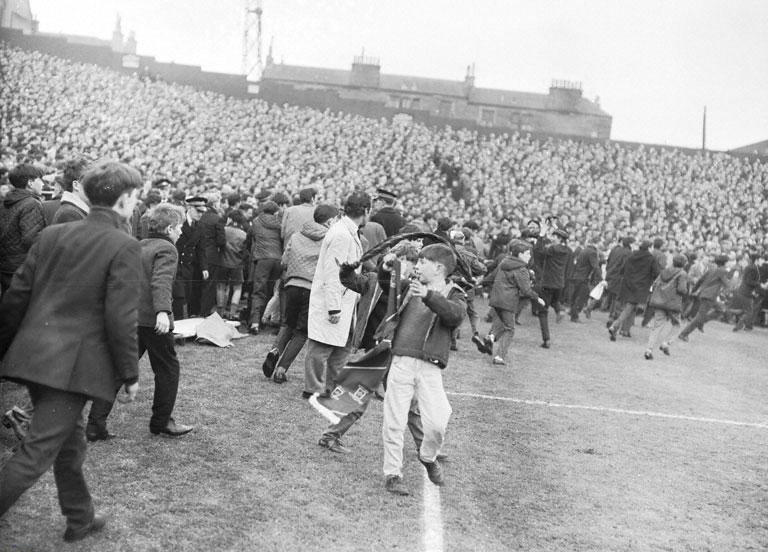 Although this was technically a Celtic home game it was actually played at Ibrox after Rangers had, somehow, objected to playing at Hampden. Stein then called their bluff and offered to play both League Cup games at Ibrox and this led to Celtic travelling to Rangers’ ground three times for competitive games, all within the space of 28 calendar days. And guess what ? 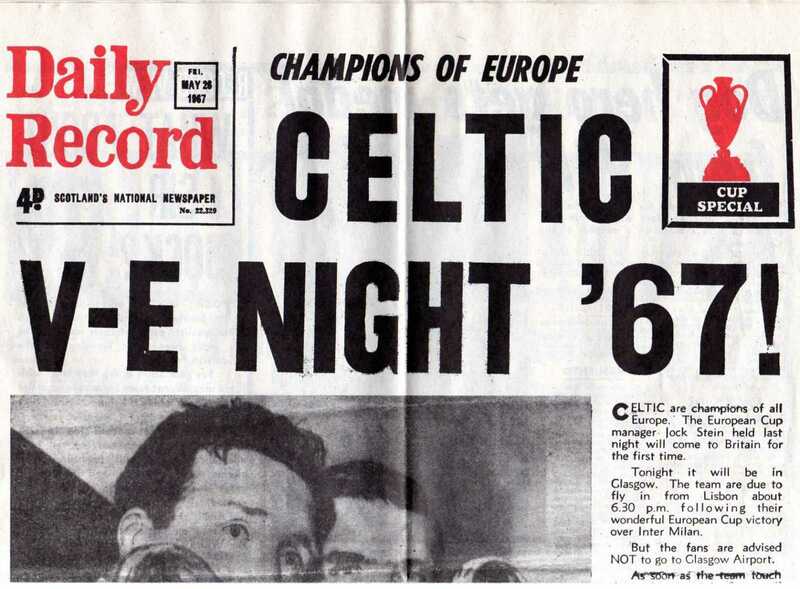 Celtic won them all…and by some distance. 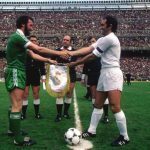 This is the report of the first game of that new season, played on 14 August 1971. Britain’s biggest crowd – 72,500 – for the official start to the new season, assembled at Ibrox on Saturday and appropriately reserved for the occasion was the best Old Firm game for years. Celtic, shaping like European Cup winning prospects, confirmed above all, by beating Rangers with two second half goals, that they will be the team that other Cup and Championship aspirants will have to chase for honours. On his performance Murdoch disproved the old axiom that they never come back. 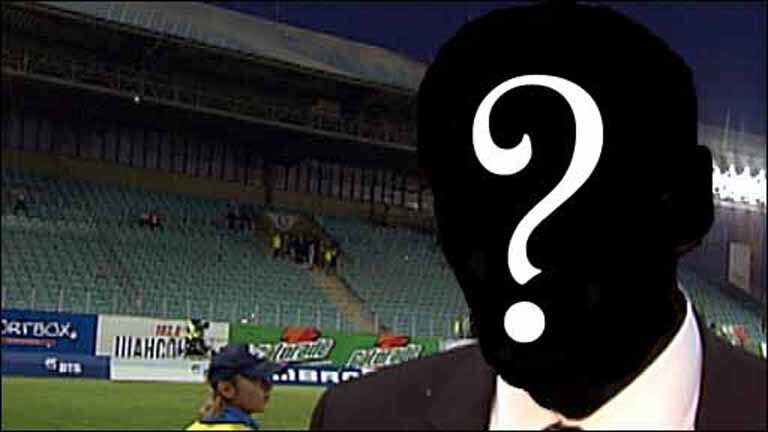 He has had his full share of injury and, more seriously, weight trouble, but he is in the team again, fitter than ever and without having lost his immaculate passing skill. When he is directing the flow accurately Celtic are at their peak, and this was how they secured the initiative in their League Cup section. The return of Murdoch and John Hughes to the first team was a refreshing sight. It reflected the amazing strength of the Parkhead side’s resources. 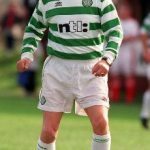 A roll call of the more established men who were not called upon or even in the reserves on Saturday would have included the names of Jim Brogan, Harry Hood, Tommy Gemmell, Willie Wallace and Lou Macari. 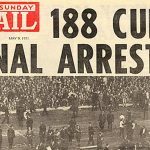 Despite the undoubted delight at the team’s opening success, Jock Stein does not assume that the men who beat Rangers will become automatic choices for later games. He estimated that it will be October before he has a settled side. However he could not wish for better than to have the consistency of this match maintained. There was no obvious weakness in the side against strong opponents who did not have Celtic’s cohesion. Particularly in midfield this was evident, as Bobby Murdoch, Tom Callaghan and Jimmy Johnstone’s individual genius provided a springboard for attacking operations. At times David Hay and George Connelly, the pure essence of coolness, stepped out of the rear to lend extra fire power to the offensive. The assault on Rangers’ goal was at it’s height when little Johnstone flighted a cross to the unmarked Lennox whose shot hit the post. It was only minutes later – the sixty eighth – when this quicksilver pair reversed the procedure, Lennox sending a corner kick to Johnstone and the winger shooting through a chink in the packed defence to score. Rangers’ defence surprisingly fell for their own offside trap a minute later when Hughes was pulled down for what was undoubtedly a penalty. Billy McNeill, Celtic’s captain, signalled to young Ken Dalglish to take the kick. It was the youngster’s first Old Firm game and yet he showed no strain. He even took time to tie his bootlace a bit tighter before placing the ball well away from Peter McCloy. The two goal blow terminated Rangers’ hopes and left them to wonder about the openings they missed when they were, potentially, more dangerous. Alex MacDonald might have score in the first few seconds, as might Willie Mathieson when he twice accelerated from his full back position to the front. At times too, the game could have turned, although the Ibrox side did not have Celtic’s fine balance, especially in midfield. Tommy McLean’s play was not so sustained as it had been in challenge games against Everton and Tottenham, although the delicate touches that may mean much to Rangers are still there. Rangers were reluctant to use Derek Johnstone’s height and jumping power. 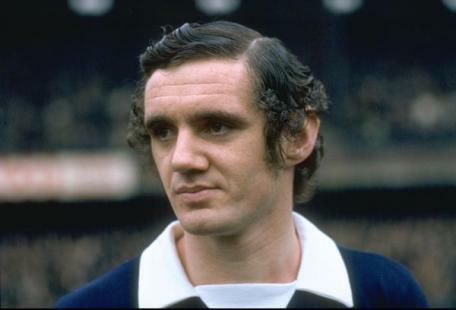 The young centre forward, who troubled the Celtic defence in the club’s meetings last season, was replaced early in the second half by Colin Stein. Colin Jackson and Ronnie McKinnon had a difficult task but played well even in defeat. They were relieved near the finish not to concede another goal when Hughes hit the bar with an explosive shot after one of the best moves of the match. Although three players – Greig, MacDonald and Hay – were booked for fouls there could be few complaints about on field misbehaviour as Bill Mullan kept full control.